TSAOG is very pleased to welcome Dr. Matthew Swann to our practice! He starts this week and has immediate appointments available. Dr. Swann is an orthopaedic surgeon, fellowship trained and specializing in conditions of the neck and back for patients aged 18 years and older. He has new patient appointments available at our Quarry Area, Stone Oak, New Braunfels, and Medical Center locations. Dr. Swann is an orthopaedic surgeon who specializes in the treatment of spine conditions. He completed a fellowship in orthopaedic spine surgery at the Harvard Medical School Beth Israel-Deaconess Medical Center in Boston, MA. During his time there he trained under the nation’s top surgeons and educators to become proficient in the diagnosis and treatment of spine conditions. Dr. Swann was born in San Antonio, Texas and spent his early years in the hill country north of the city. He attended St. Mary’s Hall High School where he developed an interest in history and science. He completed his undergraduate studies at Georgetown University in Washington, D.C. where he earned a degree in Classical History and admittance into medical school. He returned home to start his career in medicine at the University of Texas Health Science Center at San Antonio. In medical school he developed an interest in orthopaedic surgery and, upon graduating first in his class, was accepted to his top choice for orthopaedic residency: The University of Texas Southwestern Medical Center in Dallas, TX. He honed his surgical skills at Parkland Memorial Hospital – the city’s largest level 1 trauma center. He gained further expertise in spine surgery at the venerable Texas Scottish Rite Hospital for Children, as well as under several top spine surgeons in the Dallas community. 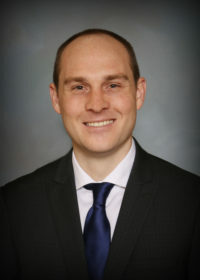 While in residency, he published multiple academic manuscripts, was elected to the position of chief resident, and served as Editor of the first edition of the UT Southwestern Orthopaedic Surgery Department Journal. His commitment to education and research earned him the G. Truett James Award for Excellence in Teaching, as well as the Vert Mooney Award for Academic Achievement. Following residency, Dr. Swann was accepted into the Harvard Medical School Orthopaedic Spine Surgery Fellowship at Beth Israel-Deaconess Medical Center in Boston, MA. During his time in Boston he trained alongside both neurosurgeons and orthopaedic spine surgeons. There he became proficient in the surgical and non-surgical management of a wide spectrum of adult spine-related conditions. After completing his fellowship, Dr. Swann was eager to return home to San Antonio. He is proud to put his knowledge and skill sets into action to serve the community in which he grew up. While performing spine surgery is his trade, patient satisfaction and outcomes are his priority. His approach focuses on informed patient decision-making, as well as pursuing non-surgical treatment when possible. As part of a patient-centered practice, he feels that an office visit is more than a physical exam and recommendation about your spine condition – it is a global assessment of one’s health and quality of life. It is important to him that patients leave his office with an elevated understanding of their condition, confidence in their choice of treatment, and comfort knowing they are on the path to improvement. To schedule an appointment with Dr. Swann, please call 210.281.9595 or request an appointment online. To learn more about Dr. Swann’s background and training, please visit his webpage. Please join me in welcoming Dr. Matthew Swann to Team TSAOG!